I am a self proclaimed playground aficionado. We have probably visited well over 100 playgrounds since I became a mom and each one is completely unique. I’ve even planned the installation of a playground in our community and in doing so gained a new appreciation for each and every piece of equipment at the places we visit now that I know how much that stuff costs. I love seeing how my kids react when they visit a new one. Which things they head for first and play with the most, it never gets old. The Can Do Playground in Milford, DE has been high on my list of places to visit for some time now, but I was “saving” it for the perfect moment and we recently had some extra time while we were in the area so I pulled out my phone and Googled to get the address which turned out to be more challenging than I planned. 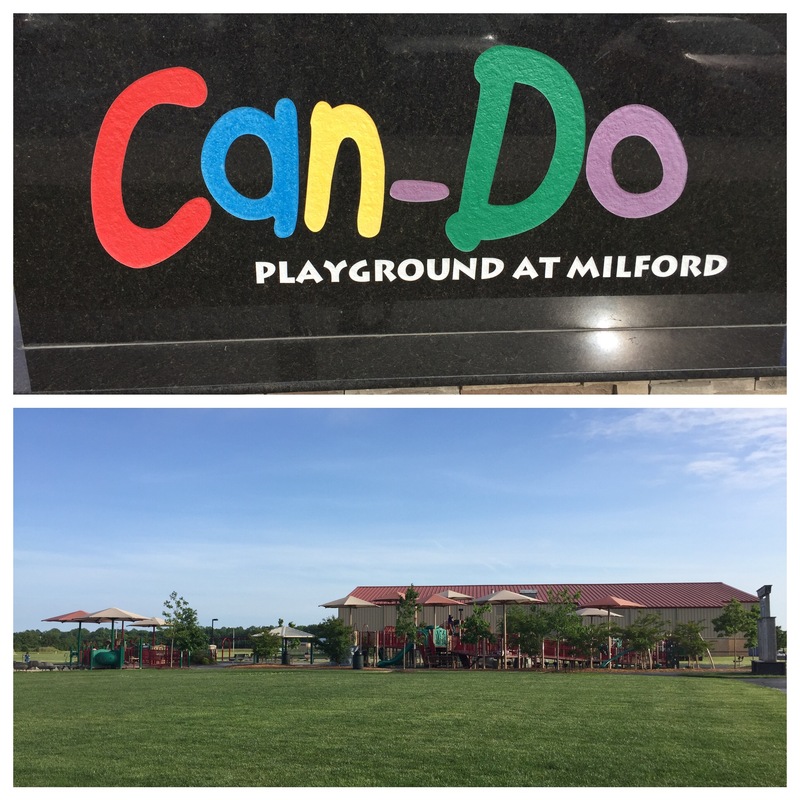 I looked up “Milford Can Do Playground” first and came up with the website that described the project, but found no address. So I searched for “Milford Playgrounds” which brought me to the City of Milford page and I found out that the actual name of the location is the Tony Silicato Memorial Park, but still no address. I clicked the “maps” tab, still nothing. After some more searching, I discovered the park is behind the Boys and Girls Club so I used that address to get us there. How annoying!! It should never take that much work to find an address for the GPS in this day and age. Anywho, that’s a perfect example of why I do what I do… so YOU don’t have to deal with that! The address is 101 Delaware Veterans Blvd, Milford, DE 19963. The playground was expansive, clean and modern with bathrooms and a water fountain on site. There were various play surfaces and types of equipment, but my boys quickly found their way to the sand pit and didn’t want to leave. Before long, the shoes came off and they got comfortable. Luckily, there are plenty of benches for parents to hang out on and I was wishing I had brought a book. I LOVE the concept of a “boundless playground” and wanted to learn more, so I read this article about how the company got started. I only wish there were more of them to be enjoyed as every child deserves the chance to interact with their peers in play. 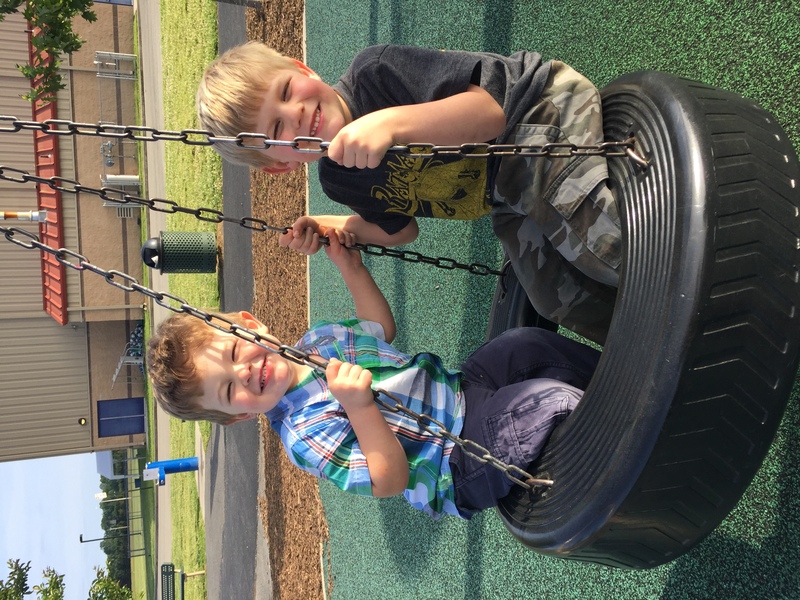 On the flip side of things, we may not always consider that there are disabled parents that may want to interact with their kids on the playground that would not be able to do so otherwise. The experience here inspired me to begin planning a handicap accessible adventure section of the website which will be coming soon. 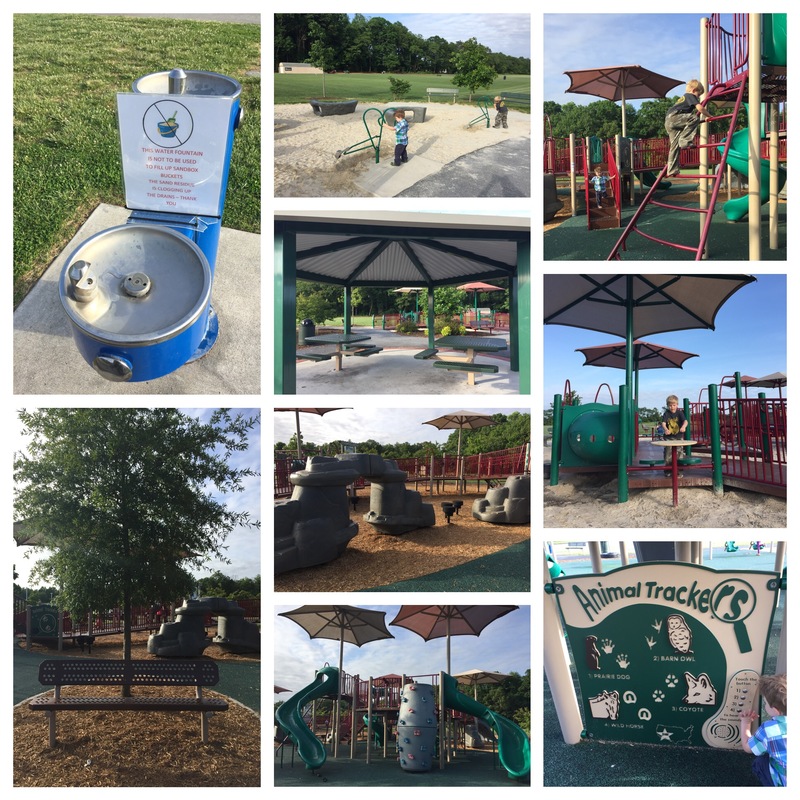 Tony Silicato Park also features a paved walking path, athletic fields and a disc golf course so there’s a little something for everyone!